Marketing success depends on many factors. You need accurate consumer research to build your branding strategy, engaging content to delight your audience, a firm grasp of behavioral economics, and a near mystical ability to intuit how people will weigh your message against those of your fiercest competitors. In the digital age, marketers can’t win without mastering data, analytics, and automation. Fortunately, machine learning (ML) can already improve marketer performance on common tasks like customer segmentation, generating branded collateral, extracting and classifying relevant content, customer communication, and overall productivity and output. In the new economy, a marketing unit without machine learning mastery operates at a serious handicap. BUT WAIT. Adopting an ML solution without understanding what it truly does can do more harm (usually expressed in wasted hours and dollars) than good. Machine learning is NOT magic and won’t automatically move the needle unless your team selects and configures the right ML solution for specific marketing challenges. Many Martech companies shamelessly claim that their solutions are “AI-powered” or “use the latest breakthroughs in AI.” Some indeed exhibit cutting-edge technologies, while others use unimpressive and commonplace techniques. Not all customers are the same. Unsupervised machine learning can help marketers group their audience into dynamic groups and engage them accordingly. Affinio’s platform, for example, analyzes billions of consumer interest variables, identifies specific customer’s interests based on their social media activities, then generates a visual report grouping people with similar interests. You then gain insight on which of your customers are die-hard foodies, who follows which series on Netflix, or who among them have similar travel plans. A/B tests are effective ways of finding out which content option (email tone, web page layout, visual elements in an ad, article headline, etc.) resonates better with your audience. 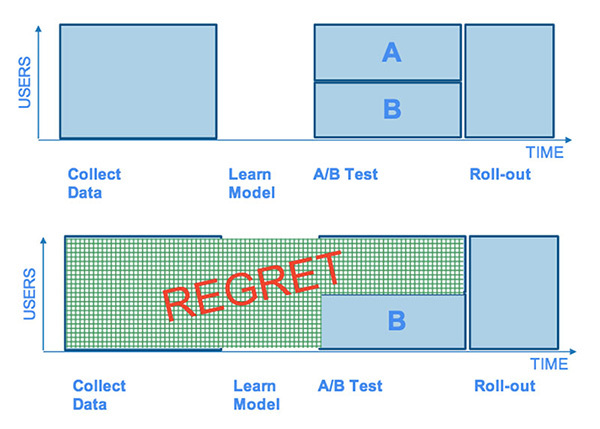 However, A/B Testing involves a period of “regret” where you lose revenue while using the less optimal option. You have to wait and finish the countdown before learning which option — the final answer — is better. In contrast, bandit tests mitigate regret (opportunity loss) through dynamic optimization where it simultaneously explores and exploits options, gradually and automatically moving towards the better option. The right pricing scheme can make or break a product. Regression techniques in machine learning allow marketers to predict numerical values based on pre-existing features, which in turn enables them to optimize different aspects of the customer journey. Regression can also be used in sales forecasting and in optimizing marketing spend. Using natural language processing (NLP), a machine learning system can probe text- or voice-based content, then classify each content based on variables such as tone, sentiment, or topic to generate consumer insight or curate relevant materials. IBM Watson’s Tone Analyzer, for example, can parse through online customer feedback and determine the general tone of users reviewing a product. Marketers can leverage ML to extract relevant content from online news articles and other data sources to determine how people view their brand and/or react to their products. The Protagonist platform enables companies to gain full visibility into their customers’ values and motivations and how these attributes affect their buying decisions. Tech-savvy marketing teams can also build their own ML algorithm using APIs such as AYLIEN for relevant news aggregation, social media sentiment monitoring, and other purposes. Attention mechanisms in deep neural networks help improve machine translation performance and empower your marketing assets for the global stage. Translation work for a brand’s entry into a new, linguistically different market used to be a major marketing spend but advances in AI enable machine translation to achieve near human parity. To rationalize costs and speed up the process, many companies opt to just have a human translator review and sign off machine translation output. If your branding creatives are constantly pressured to come up with great names for new products, campaigns, and companies, you can use generative models like RNNs to serve up loads of plausible-sounding names — some catchy, some weird, and a few surprisingly on the spot. We challenged several branding agencies on an AI vs. human naming competition. Guess who won? 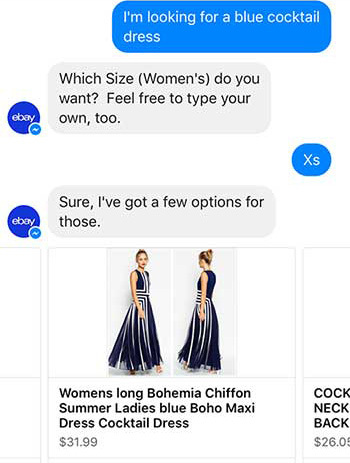 Bots and chatbots represent one of the most ubiquitous applications of AI, but most marketing bots you see in the wild are completely scripted and use minimal natural language processing and machine learning. The more sophisticated dialog systems are able to reference external knowledge bases, adapt to unusual questions, and also escalate to human agents when required. Quite a number of companies have already adopted chatbots to engage customers throughout their lifecycle, from when they first learn of a brand to after they’ve already made purchases and require customer support. Considered part of the conversational AI domain, voice-enabled and voice-only platforms introduce a new paradigm and new user engagement possibilities into our software and hardware interfaces. 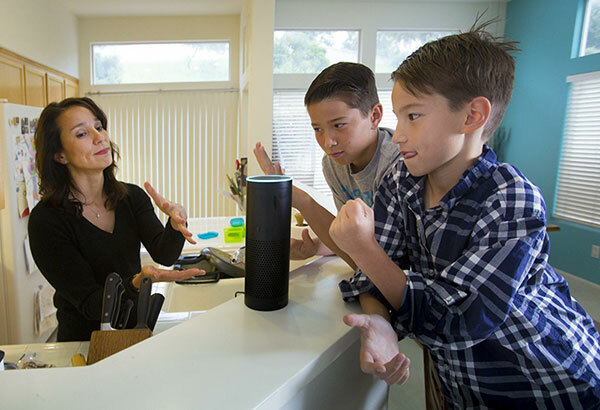 With the rising adoption of voice-based digital assistants such as Amazon Echo and Google Assistant that enable touch-free shopping and search, marketing executives need a conversational AI strategy to future-proof their marketing. Computer vision is a rapidly advancing field in AI that lends itself to a wide range of applications. 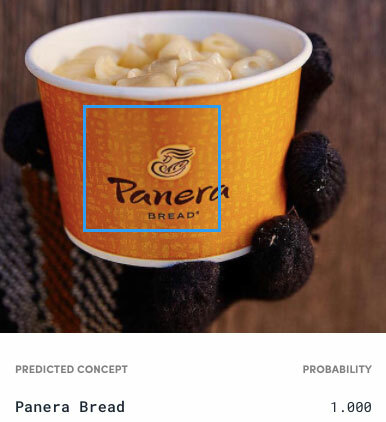 Marketers can use ML-powered computer vision for product recognition and to extract user insight from unlabeled images and videos. Solutions like GumGum allow marketers to identify when their brand logos have appeared in user-generated content and quickly calculate earned media from video analysis. More tech-savvy marketers can use an API like Clarifai to build custom solutions for content moderation as well as search and recommendation engines based on visual similarity. Nvidia stirred the business community and created a buzz around its methodology for generating photorealistic images of fake celebrities. While these images make look like photos of real people, they are entirely AI-generated. Using generative adversarial networks (GAN), Nvidia’s system progressively becomes more adept at creating fake but ultra realistic images. GANs involve two competing networks — a generator and a discriminator — that spar and learn from each other, steadily becoming better and better at detecting and creating fake images. Other technologies use GANs for creating logos, generating photorealistic images from sketches, and another for generating voices. Digital marketing is replete with automations aimed at making work easier for hard-pressed practitioners. Automated processes for reading emails, opening and analyzing email attachments, data entry for templated reports, and tracking/engaging social media triggers help marketers stay ahead of the curve. For online ads, the AI platform Albert reduces the need for human involvement in large-scale media buying, quickening the pace of required analytical computations and optimizing paid ad campaigns. Images speak louder than words. AI is a lot faster and more efficient at transforming data into visual insight than any human expert. Analysts usually use tools like Excel or Tableau to manually create visualizations, but automated enterprise analytics solutions such as Qlik can centralize data sources and generate useful dashboards and reports for your marketing teams. Many platforms now use data analytics and advanced machine learning algorithms to vividly clarify market trends, people’s behavioral patterns, and other information that are otherwise hidden from plain view and not readily convertible to practical insight. Some of the most complex decisions we make are not single predictions, but rather a series of decisions made over a long time horizon. Balancing short-term tradeoffs versus long-term gains is challenging even for the smartest humans. Reinforcement learning has been used successfully in cases like DeepMind’s AlphaGo to beat human decision making in such complex scenarios. While business cases are usually far more complex than games, the success in narrow domains suggests promise for larger ones. A notable study by IBM researchers explores how reinforcement learning could be used to optimize targeted marketing. Artificial intelligence and its subfields such as deep learning, computer vision, and natural language processing have become incredibly powerful in the past ten years due to big data and the rise of computational power. The problem is, some “experts” sell AI products like snake oil, promising an elixir to cure all your marketing woes. Take their claims with a grain of salt and do your homework. Be sure to first clearly identify your business goals and metrics of success before evaluating AI and automation solutions. Also remember that not all problems are best solved by machine learning!